Ketchikan Salmon Fishing Ketchikan, Alaska is Recognized Globally as the Sportfishing Capitol of the World! Ketchikan is known to be the Sportfishing Capitol of the World. Anglers journey from all over to go Alaska Halibut fishing and Alaska Salmon fishing. We fish for Ketchikan Salmon throughout June, July, and August and will take you and your party King Salmon fishing, Sockeye Salmon fishing, Silver Salmon fishing. We also offer Pink Salmon fishing trips, and Chum Salmon fishing charters. Each Type of Ketchikan Salmon run at certain times of the year and we can help you catch several you can be proud about. 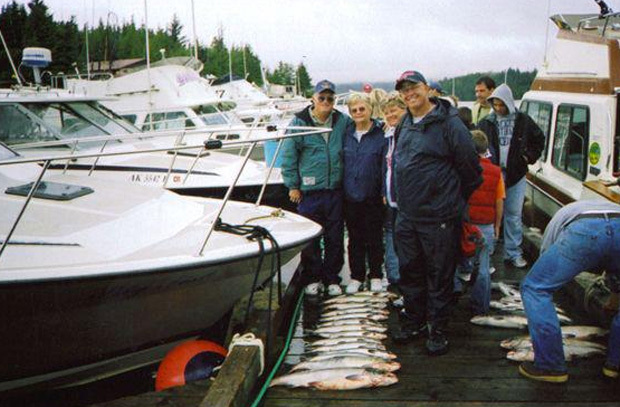 Pete’s Fishing Guide Service offers the most action packed Ketchikan Sportfishing Trips in town! 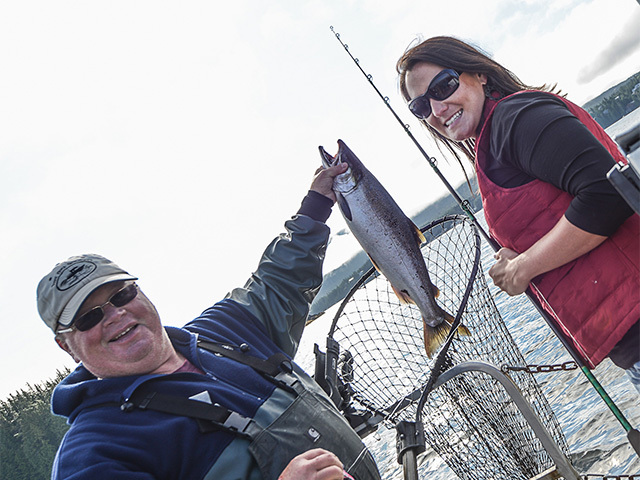 Pound-For-Pound the ultimate catch for Anglers that travel to Ketchikan, Alaska is the Mighty King Salmon (Chinook) also patrols the ocean off of Ketchikan’s coastline. We offer World-Class King Salmon Guided Fishing Trips. All of our guests go home happy with stories to tell and plenty of fish to eat. Ketchikan, Alaska is teeming with fish and wildlife for all to travelers to enjoy. We take novice anglers fishing and seasoned anglers. Pete’s Fishing Guide Service is family friendly and Captain Pete really enjoys teaching children how to catch the fish of Ketchikan, Alaska. Captain Pete welcomes Cruise Ship Passengers, Hotel Guests, Locals, and anyone that’s interested in Catching Ketchikan Salmon & Ketchikan Halibut. Please call Pete’s Fishing Guide Service if you’re in Ketchikan or you will be arriving on one of the Cruise Ships. We provide Norwegian Pearl Fishing, Holland America Fishing, Celebrity Cruises Fishing, and Princess Cruises Fishing. 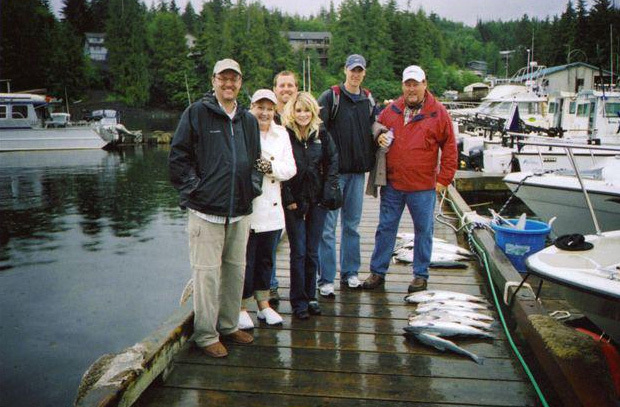 We can customize your next Ketchikan Guided fishing trip to meet your requirements and timelines.